Arise, Shine......Isaiah 60:1: What Time is It? 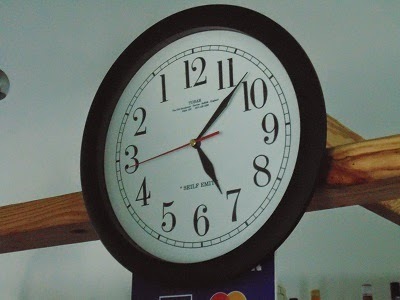 This clock moves counter clockwise to tell time - Haiti time! It took awhile to catch on to it, but it can be done! It was in the lobby of our hotel in Port Salut. One of the many fun things on our trip.